Even outdoors, you are still the third point of the triangle! 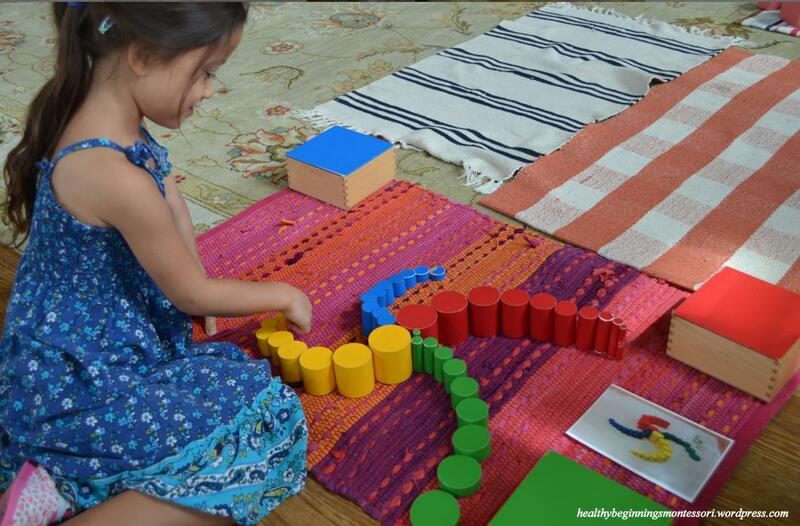 When we take the children outdoors, where it seems so easy for them to function, we tend to forget that the magic of the Montessori prepared environment depends as much on the teacher as it does on the materials and the child. Do children really need the same active support, parameters, and supervision in the outdoor prepared environment as they do inside the classroom? In theory, yes; in practice, we sometimes fall short. Intellectually, we all know the prepared environment doesn’t stop at the classroom door. 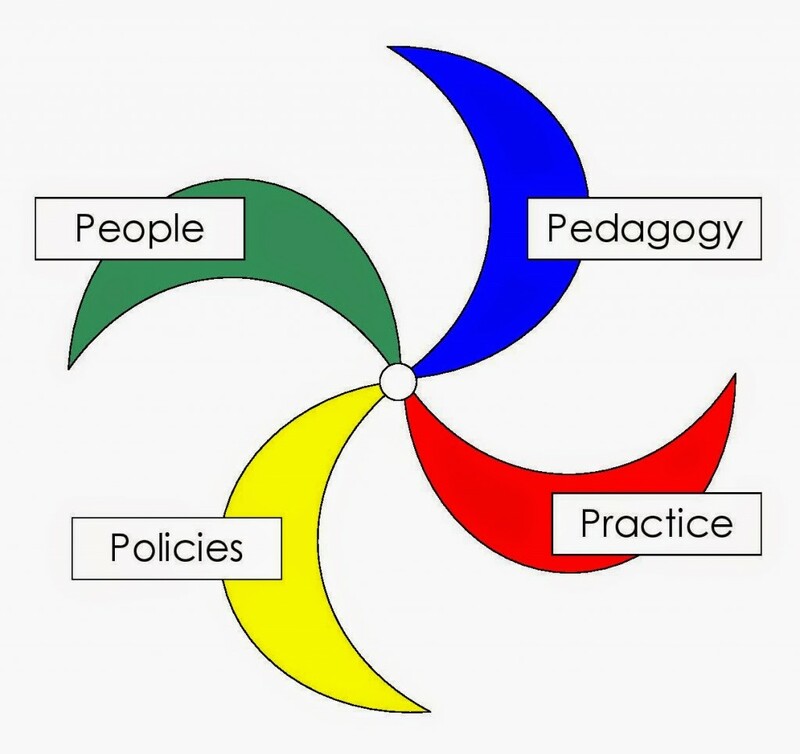 So, why is it so easy for us teachers to abdicate responsibility when we walk outside? I’ve heard more teachers talking lately about the disappearance of peaceful play on the yard. Some may think today’s children are shorter on tolerance, or that it’s natural for children to interact less peacefully in a more stressful world. Perhaps. And perhaps there is something else going on. Something that has less to do with the children and more to do with us. Let’s face facts. Every teacher’s time is precious – our responsibilities can be exhausting. Labor laws aside, in the real world there is sometimes no formal space for teachers to take a mental break or check in with each other. We see the children running, jumping, digging, dancing, and singing in the outdoor environment we have prepared for them. 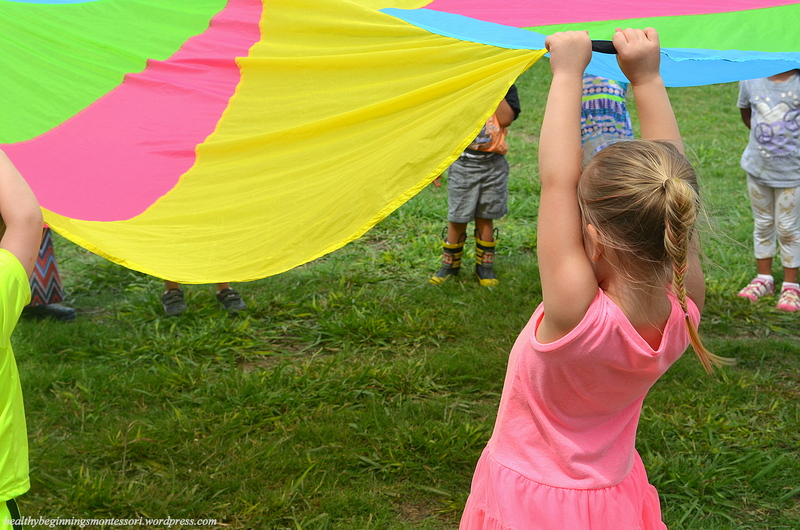 It’s easy to persuade ourselves that it’s all right to use outside time to check in with a colleague or for a little personal rejuvenation – what teacher doesn’t need a breath in the middle of the day! We justify this notion by telling ourselves the children are just playing, after all; it’s no big deal. Is that true? Experimenting with leadership & being a follower, team-play, etc. 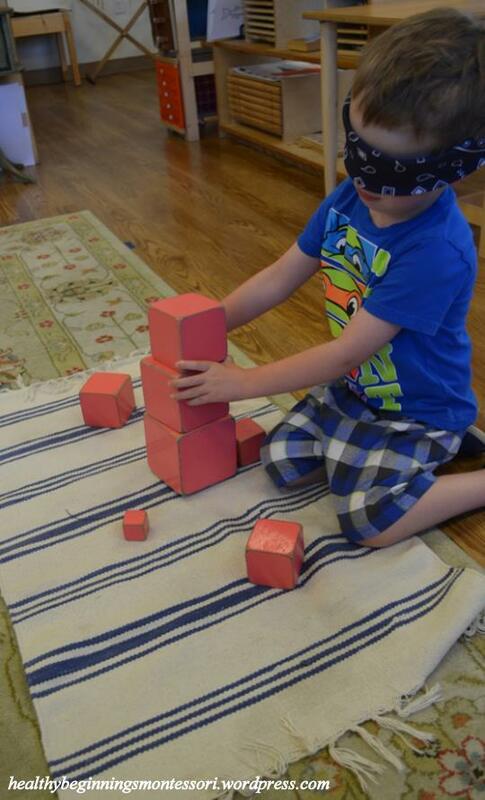 Our HBMH friends have been enjoying this week’s Summer Camp theme, “Learning through Sensory Discovery”. 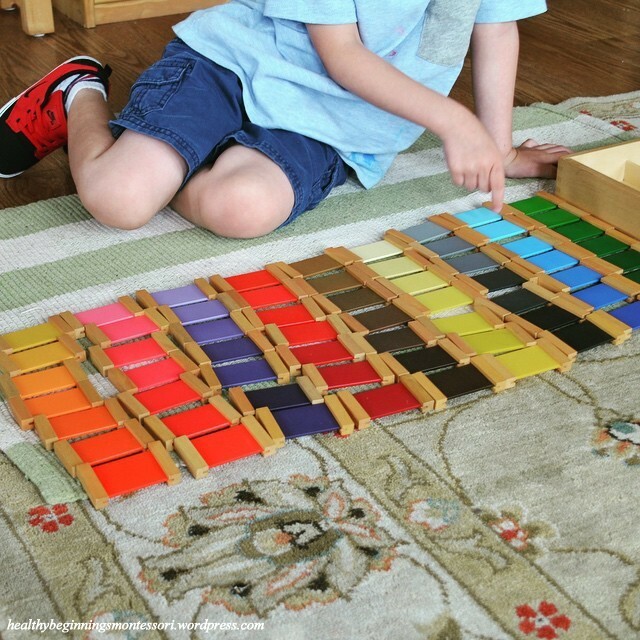 With so many options to choose from, they are invited each day to pick and choose which sensorial materials they would like to work with, then given the opportunity to create and manipulate a masterpiece of their own. It is truly amazing to see their creativity unfold as they put their minds (and hands) to work. Our camp themes were designed to feature creative hands-on activities that build skills, bodies, and excitement. 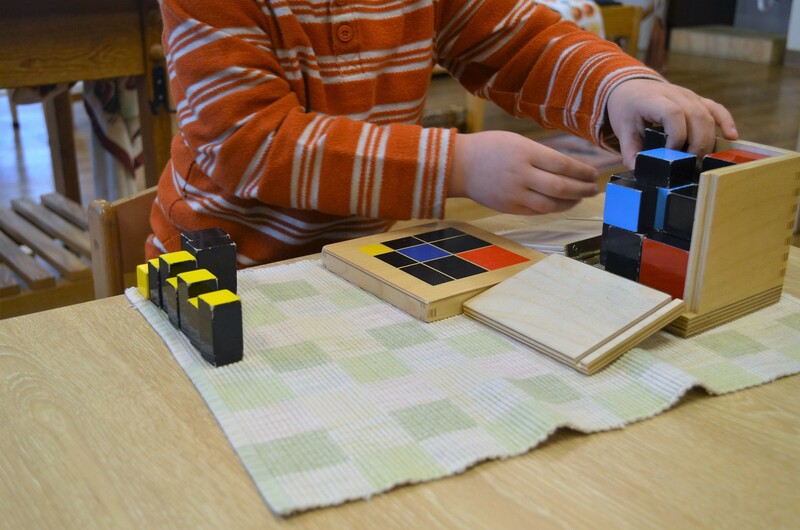 We offer an environment that fits the needs and interests of all our children, incorporating Montessori principles that foster independence and freedom with responsibility. I’m hoping to update our blog all summer long to show the children as they progress through the different themes. Children use their senses to learn. At a very young age, they have a natural desire to discriminate objects by their similarities and differences, using their visual, auditory, tasting, olfactory (smelling) and tactile abilities. 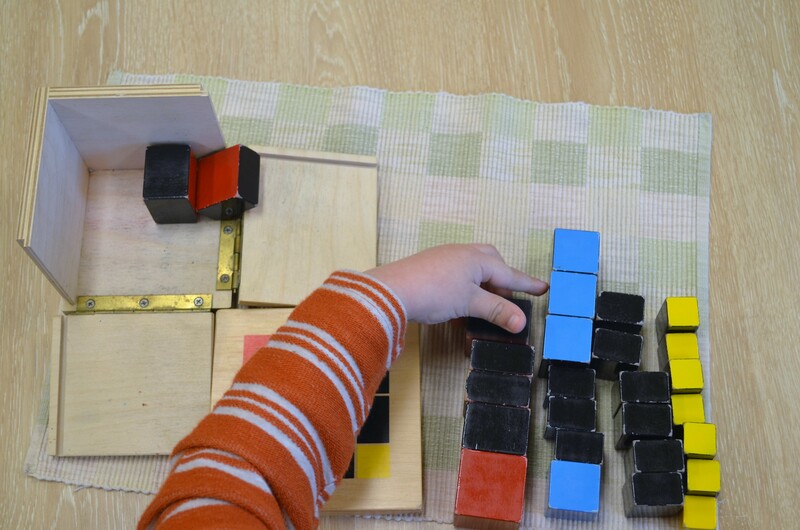 Each sensorial material in the Montessori classroom was designed to better define these abilities, not to mention all of the abstract lessons the child is learning from the same work such as introduction to language, reading, writing, math, and so forth. 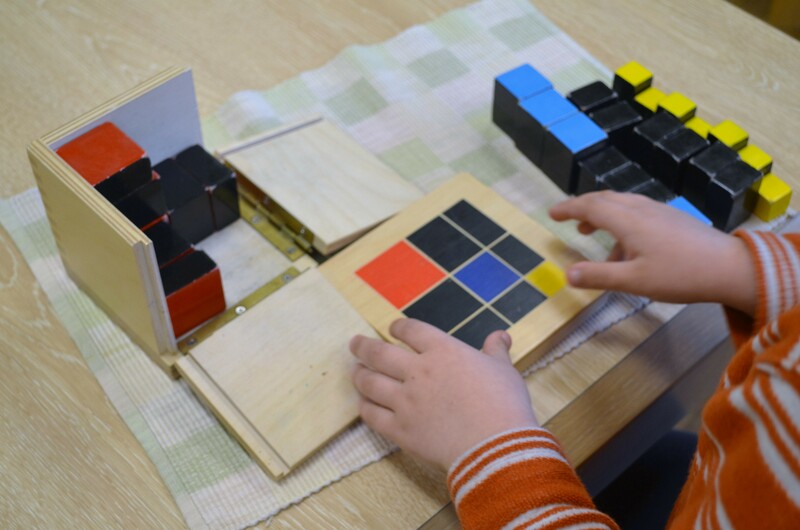 Children are given the opportunity to exercise their senses through working with different textures, colors, shapes, dimensions, masses, tastes, smells, temperatures, pitches and intensity of sounds. Not only do these works advocate creative expression, but they also promote abstract thinking. I chose to work with the knobless cylinders. Using a guide, I created a beautiful design, displaying each group of cylinders by their relationships in height and diameter. By diminishing my vision, I’m able to utilize my tactile senses to feel the lengths and heights of each cube as I build my tower in decreasing size. The bright colors of the yellow cylinders and pink tower stimulate my visual senses. 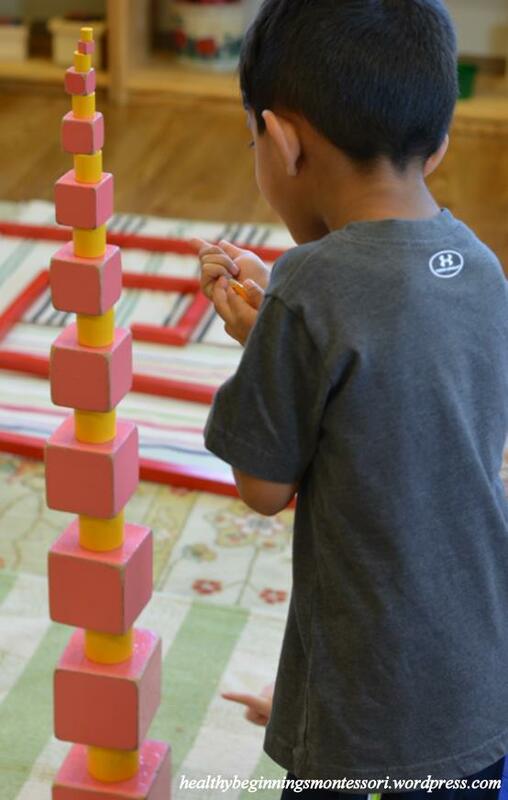 Each cube and cylinder is graded by decreasing size and diameter, and placed in order to create a tower taller than my body! This work is also indirectly preparing me for counting, geometry, and other mathematical lessons by giving me an in depth understanding of varying dimensions. I’ve chosen to work with the Color Box III, which allows me to grade the tablets by intensity of color (darkest to lightest). Our Apple friends participated in a group activity to test their auditory senses. 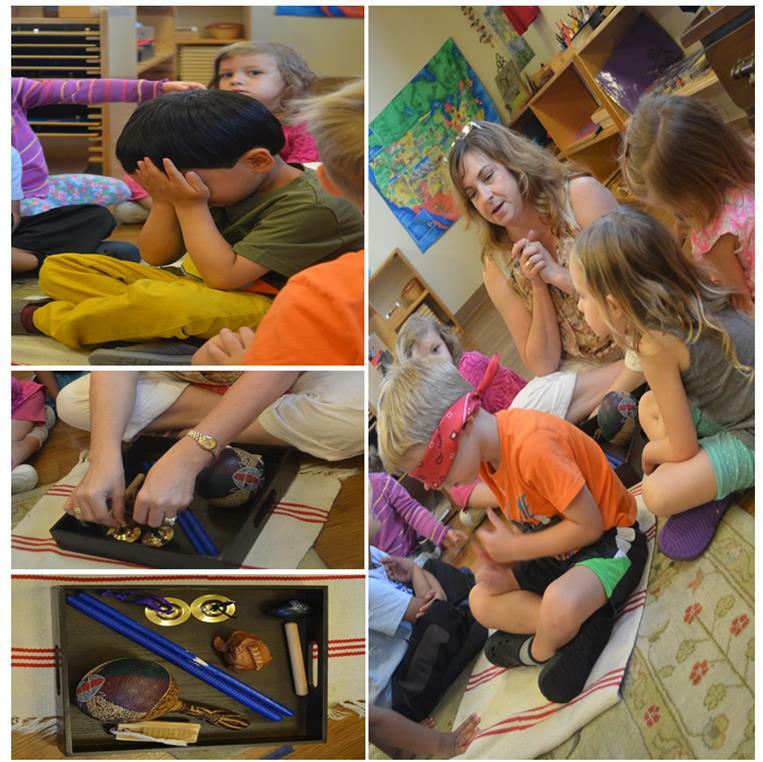 Using different musical instruments and a blindfold, Ms. Patti tests our ability to identify and distinguish between each sound. Pictured above: Nancie Atwell opened the Center for Teaching and Learning 25 years ago to make the classroom a place for ‘wisdom and happiness’. 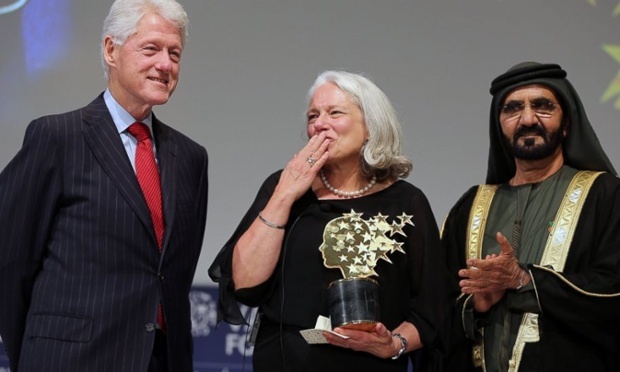 Last month her emphasis on student choice and self-expression earned her the Global Teaching Prize, dubbed the Nobel Prize of teaching. 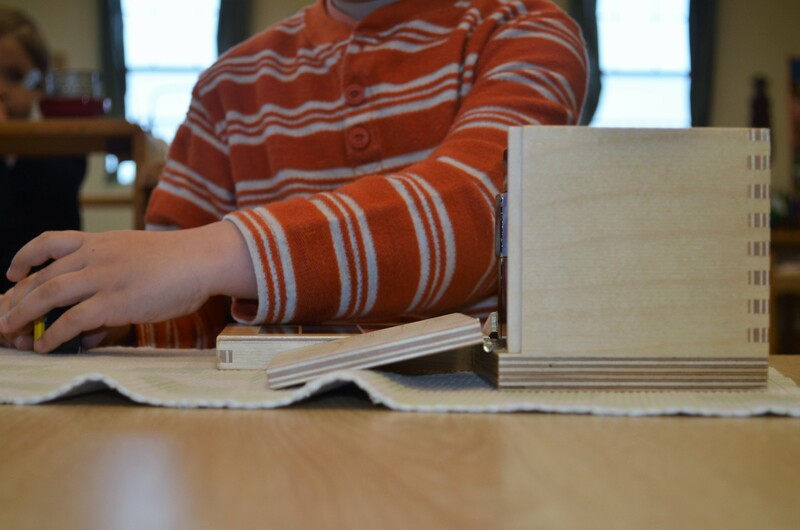 It’s always inspirational to hear and witness the beauty of a Montessori student at work. 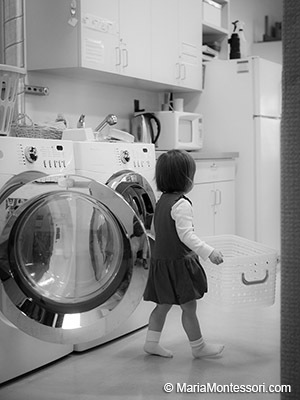 Simple practical life works, such as washing a chalk board, can provide an immense amount of skills that the child will be able to use much later in their lives and in their academic career. The evidence of just how precious these exercises in practical life are, lies in the child’s appreciation for such purposeful work. About the Author: Peter Davidson was the founding Head at the Montessori School of Beaverton, an AMI school in Portland and currently serves as consultant for Montessori in Redlands, an AMI school in Southern California.